GPT and Sydney Opera House have doubled recycling rates since taking on the Better Building Partnership’s operational waste guidelines, the City of Sydney says. The guidelines help property managers better classify waste, implement a management plan and create performance targets. GPT was one of the first companies to take on the guidelines two years ago and has doubled recycling rates. “A more detailed, accurate and transparent approach to waste management is resulting in better decisions leading to higher recycling rates and lower costs,” GPT national manager energy performance Steve Ford said. Sydney Opera House environmental sustainability manager Naomi Martin said the BBP guidelines allowed the Opera House to better manage its waste. “Having a best-practice operational waste management plan template prompted the Opera House, and our cleaning and waste partners, to document and clarify a number of items relating to our processes, responsibilities and targets,” Ms Martin said. Lord Mayor Clover Moore said keeping rubbish out of landfill significantly reduced carbon emissions from methane. “Fifty two per cent of all waste in the City of Sydney comes from commercial and industrial buildings. The BBP guidelines help city businesses reduce waste and improve their recycling processes,” Ms Moore said. Better Buildings Partnership Waste working group chair Jon Collinge said the new guidelines had a rapid uptake because they were easily adapted for different building types and business needs. “The techniques to save energy and manage waste are different for every building. That’s why we have developed a practical toolkit that recognises not all buildings are the same, and that needs and uses change over time,” Mr Collinge said. He said the waste guidelines would help commercial buildings make a difference to the environment and their bottom line. 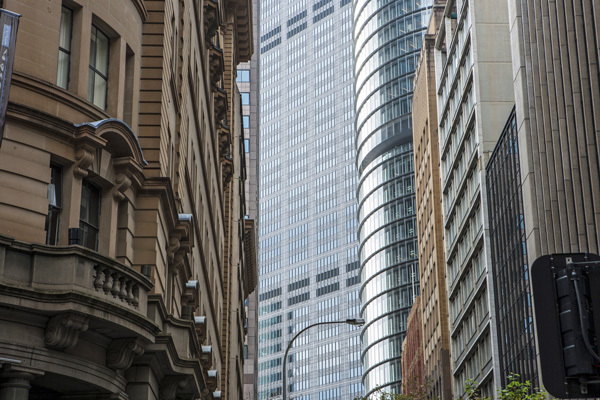 Esther Bailey, City of Sydney sustainability programs team leader – buildings, said the guidelines would bring consistency in assessing waste reduction in the commercial sector. “While we applaud the State Government’s target for this sector of 70 per cent waste reduction by 2020, it has always been challenging to monitor commercial waste,” Ms Bailey said.